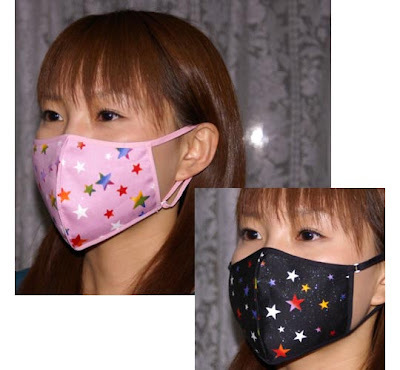 Just spotted a Japanese Face Mask on the web ready to stop the swine flu or haze getting in your system but with more omph! and style. The only downside is the 72 US dollar price tag. More than enuf different yourself from "Plain and Dull" white color face mask crowd.